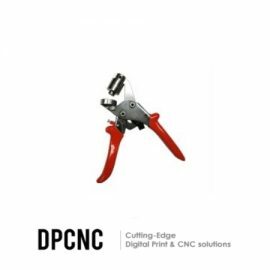 CNC Router ToolingAt DPCNC Solutions we make sure that all CNC router owners can take advantage of the high quality precision cut Tooling & Cutters. Our Tooling products deliver a superior cutting performance with great value for money, They will also help minimize the amount of waste material and secondary finishing required with superior cutting and finish. LaminatorsAn offer of cold or hot & cold laminators to meet most of the digital print finishing requirements printed using water-based, solvent, eco-solvent, UV, screen-printing, offset, laser… inks with the guarantee of perfect results Our range covers all kind of budget and all products will be quickly paid for by your production. Print MediaEMBLEM Inkjet Media for digital printing are manufactured & developed in Germany. Emblem media markets papers, textiles,canvas, all types of vinyl, PVC banners, laminates and much more concerning everything to do with large format printers. Emblem has been dealing with the topic of inkjet for over 30 years and has acquired many years of experience with these products. Furthermore, the current product range comprises tools for further processing but also cutter plotters and printers for industrial applications in advertising technology, labeling and outdoor advertising. Well-known manufacturers from all over the world are represented by Emblem. About UsDPCNC have 20 years experience in engineering, sales, service support. from the early evolution of Digital and CNC equipment in the late 80’s to todays cutting edge technology. Service and support and after care of your equipment and tooling is essential for ensuring your investment in equipment in is continuously working for you.